Sealants and adhesives based on silicone polymers stand out from the crowd because of the unique features of their chemical backbone, which can be thought of as an inorganic (Si-O-)n polymer chain 'packaged' into a robust 'envelope' formed by the organic side groups. Due to the hybrid nature of this polymer, silicone sealants and adhesives offer outstanding durability, unparalleled flexibility over a very wide temperature range, and excellent adhesion, even to difficult substrates. These features make silicone sealants and adhesives suitable for a wide range of applications in the medical, electrical, electronic, automotive, aerospace and construction industries. However, with versatility comes complexity. Silicone sealants and adhesives can be a confusing topic, as a large variety of formulations and cure systems are commercially available, including two component systems that require the addition of a curing agent, one component systems that cure simply by the moisture in the air, radiation curing materials that cure with exposure to ultraviolet (UV) light or a stream of electrons (EB), or pressure sensitive versions that adhere to surfaces with very slight contact pressure. Attendees will learn about major applications of silicone sealants and adhesives with special emphasis on building and construction markets and how these products can improve the design, performance and durability of components. Attendees will understand silicone structure-property relationships and how these relate to the basics of adhesive bonding. Attendees will understand how fundamental structure-property relationships and cure chemistries can be leveraged in the development of products that meet market- or application-specific needs. This webinar is suited for anyone with a technical background looking to expand their knowledge of silicones and silicone adhesive and sealant applications. Anyone wanting to interact with renowned silicone expert on structure/property relationships. Scientists, R & D Managers/Professionals, Technology Managers/Professionals, Technical Service Managers/Professionals, Business Development Managers/Professionals would benefit from attending. Dr. Andreas Wolf is an Independent Technical consultant, working with companies on the science and technology of sealants and adhesives. He has extensive knowledge especially in insulating glass and structural glazing applications. 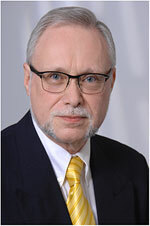 He is currently the chairman of ISO TC59/SC8. In July 2015, he retired from Dow Corning as a Senior Scientist focused on Standardization, Technical Application Support and Technology Gatekeeping for Global High Performance Building Solutions.